Gust producers Keisuke Kikuchi and Junzo Hosoi discuss many interesting details about Nights of Azure 2 and Atelier Lydie & Suelle. Gust has been very active in developing many charming JRPGs over the past few years. We just got Nights of Azure 2: Bride of the New Moon, and we’ll soon be able to enjoy Atelier Lydie & Suelle: Alchemists of the Mysterious Painting. Recently, DualShockers had a chat with Producers Keisuke Kikuchi and Junzo Hosoi about both games, and they had quite a few interesting facts to share. First of all, we hear the reason behind the decision of releasing the two JRPGs on Nintendo Switch. The goal for the studio is to have as many people play the games as possible. Having a Switch version alongside PS4 and PC, allows them to achieve exposure to a bigger audience. The proprietary engine used for the games is now compatible with Nintendo’s console, so that was seen as an opportunity to expand to the new platform. The games are both actually developed on PC first, and then they are ported to consoles. It’s not very difficult to adapt them to the different platforms, including the Switch. Of course, each hardware has its own specs, so there may be some challenges that come up from time to time, and some tweaks required for the titles to run. In general, though, there are no large issues involved in the process. That being said, at least for the current titles, the team has aimed to keep the features equal for all consoles, so there is no specific support for the Switch’s unique features. That’s also due to the fact that the console is new. Yet, they’re looking into the possibility of Switch-specific support for future titles, and they might consider it if the chance arises. 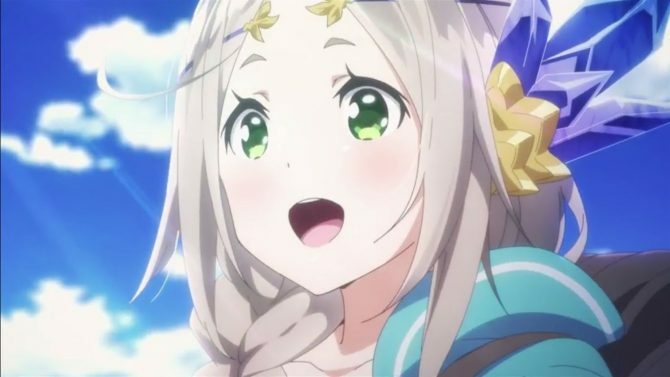 We also hear an interesting fact about the localization of the name of Suelle, which in Japanese actually reads Soeur, and has a French origin. Normally, this kind of decision isn’t taken by the developers in Japan but is more in the hands of the western offices at Koei Tecmo. That being said, they normally try to find a spelling that sounds close to the Japanese version. While Soeur is easy to pronounce for a French speaker, it isn’t as intuitive for those coming from English-speaking countries, which is why they decided for Suelle in the western localization. It’s become a tradition for the Mysterious series of the Atelier franchise to have two character designers. The decision on who to choose is normally taken by the Producer and the Director once the game’s concept is finalized. They go on Pixiv (a popular Japanese website for artists) and will look at the various illustrators working on light novels. They simply just look around through all the possibilities and find someone who suits the game’s motif. The selection is done on a title-by-title basis, and they normally go with the artist(s) who match the concept that they want to convey. 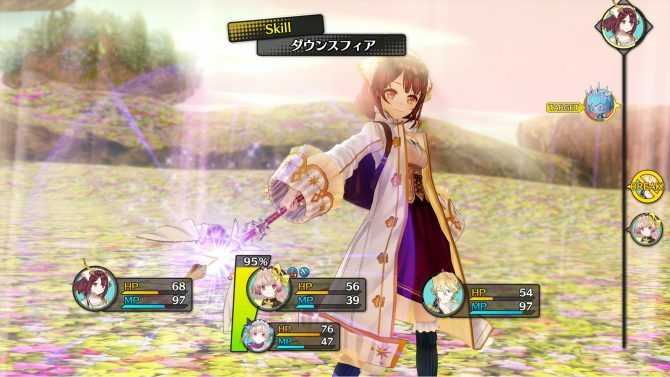 Kikuchi-san also mentioned that the previous two Atelier series, Arland and Dusk, always generated a lot of feedback from gamers on the third title of each trilogy. That feedback led the developers to create the Plus games on PS Vita. For the Mysterious series, developers would like players who have been following it since the very beginning to really enjoy the last game, and that’s something that the team has kept in mind during development. That being said, the Atelier series is made of heartwarming, slice-of-life-ish stories, so players aren’t necessarily interested in epic “grand finales,” but more in seeing how the characters will be at the end of the series. That’s why developers aimed for an ending that will let players who started with Atelier Sophie: The Alchemist of the Mysterious Book feel satisfied. The series has received pretty much one game every year. This allows the development team to consider the feedback for each title and then instill it into the next game. At times, players see something in a character that the developers themselves did not notice, so they might consider emphasizing it. On the flip side, some characters may have aspects that the fans didn’t enjoy, so that might be adjusted to make them more likable. Of course, what developers themselves like to create is also important, and how a character progresses from game to game is a combination of user feedback and developers’ creativity. On top of that, they also like to drop in elements of surprise, like Rorona becoming younger in Atelier Meruru: The Apprentice of Arland. 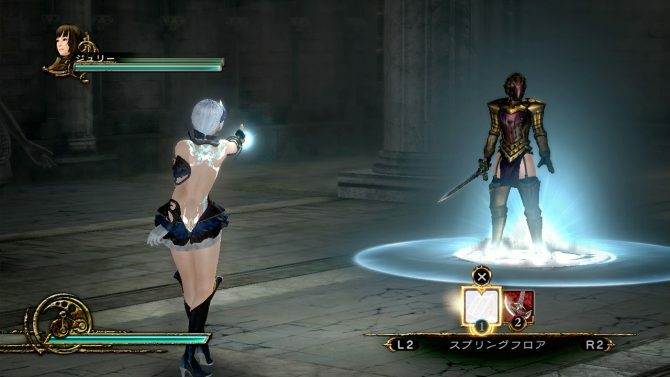 Developers look at feedback both from Japan and from the west, as the games aren’t made specifically for one audience or the other. They want to embrace the tastes of as many people as possible, so they try to strike a balance to appeal to everyone worldwide. That being said, Hosoi-san clarified that this is a recent approach adopted when Gust was absorbed by Koei Tecmo in 2014. Before then, the developer had access to feedback pretty much only from Japan. Interestingly, there are times in which feedback from the west and feedback from Japan are in conflict with each other. When that happens, developers simply go with what feels right to them, which normally tends to work well. Interestingly, we hear that from Kikuchi-san that when Gust set out to create Night of Azure, it was supposed to be a one-off game. After the first game launched, they realized that it was popular enough to create a sequel. They picked up some aspects of the storyline of the first titles, and those have found their conclusion in Night of Azure 2. At the moment Gust doesn’t know whether there could be a third title or not, but if it happened, it would probably be different from the first two. Kikuchi-san himself has worked on the Fatal Frame series, in which each game is separate. 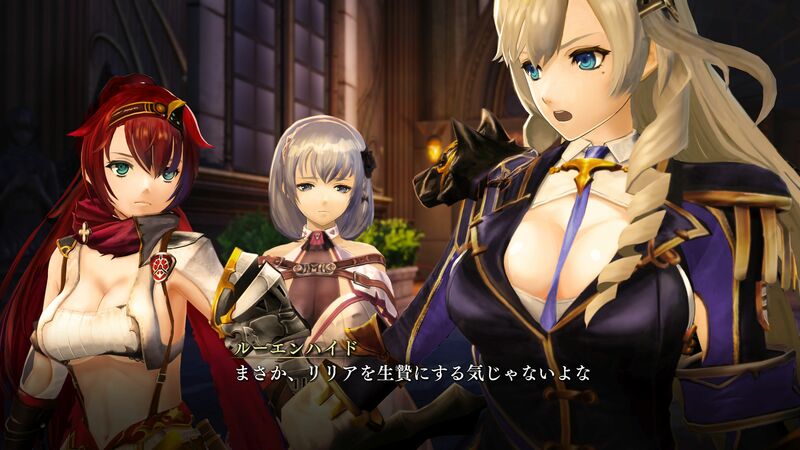 If he had to create a Nights of Azure 3, he would like to take a similar approach. 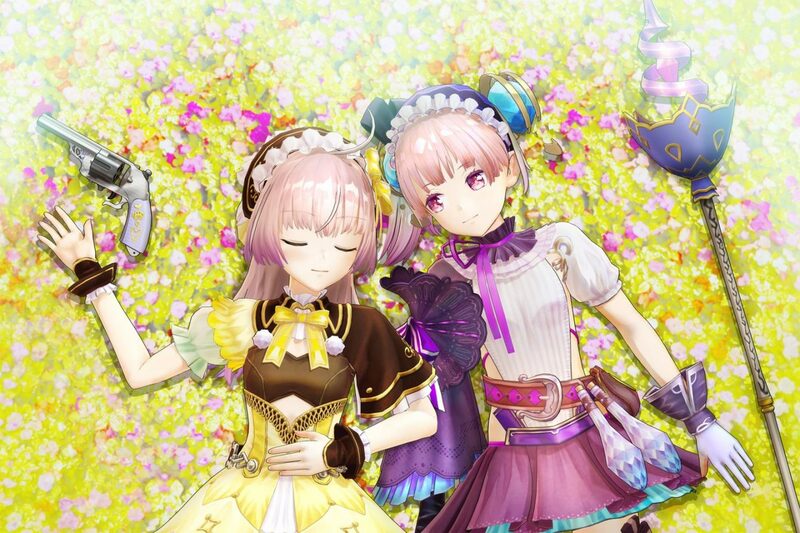 On the other hand, the developers are already thinking about what could come next for the Atelier series, but of course, they can’t share just yet. Interestingly, Kikuchi-san and Hosoi-san have discussed among themselves about creating something for Koei Tecmo’s VR Sense arcade machines, whether it may be related to Atelier or Nights of Azure, but right now they already have a lot of different games to work on. That being said, they would like to try if given the chance, even just to show what the worlds of those games would look like in virtual reality. Nights of Azure 2: Bride of the New Moon is currently available for PS4, Switch, and PC. If you want to learn more you can enjoy our review. 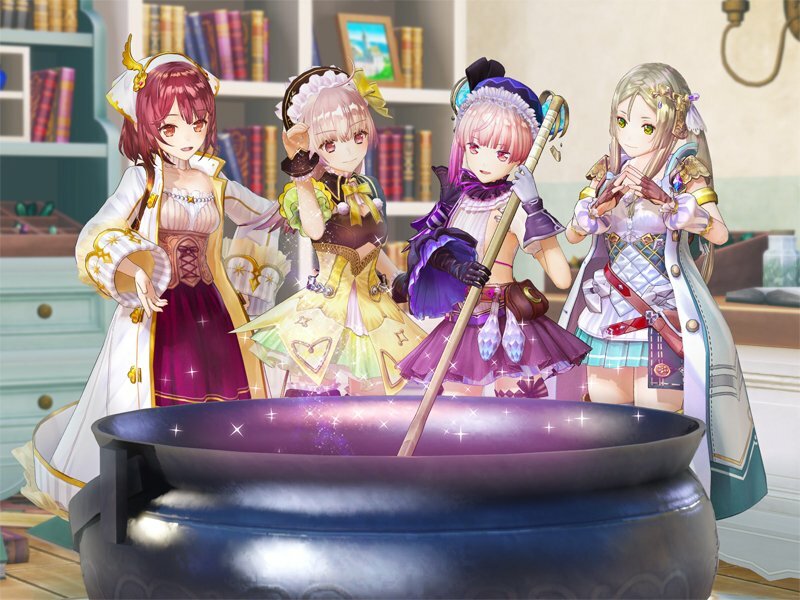 Atelier Lydie & Suelle: Alchemists of the Mysterious Painting will launch in Japan tomorrow (December 21st, 2017), for PS4, Switch, and PS Vita. The western version, which will release on March 30th in Europe and March 27th in North America, will skip Sony’s portable in favor of a PC version on Steam. 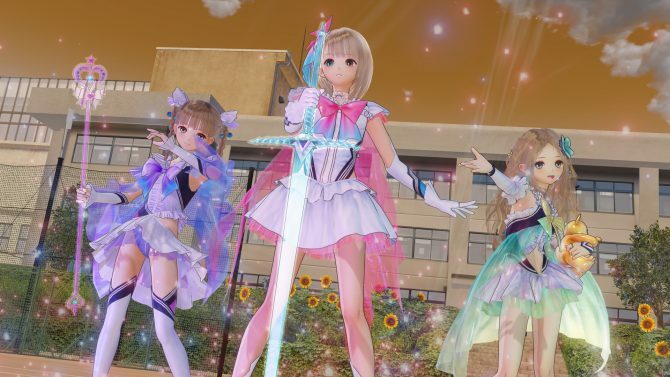 DualShockers talks with Blue Reflection Producer Junzo Hosoi to discuss the game's development and characters.